The highlights of Apple’s recent new-product announcements were certainly the iPhone 6 and the Apple Watch. But a big part of the presentation was spent discussing Apple Pay, the contactless payment system that will leverage the iPhone 6, and, eventually, the Apple Watch. 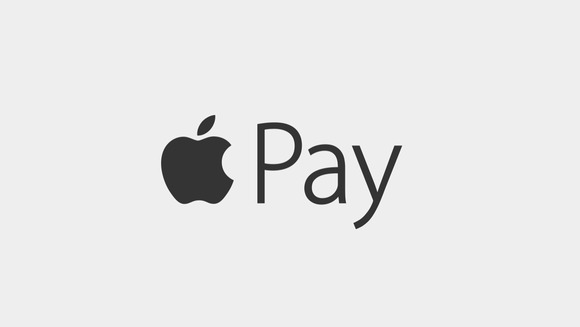 This is certainly a big deal, because of Apple Pay’s added security and ease of use. However, it’ll be a bigger deal in the United States than it will be in Europe and other parts of the world. That’s because, in Europe, credit and debit cards are based on a chip-and-PIN (personal identification number) system, rather than the swipe-and-sign system more common in the U.S. Chip-and-PIN cards use an embedded chip, rather than a magnetic strip, to encode your identity data. And they rely on your entering a four-digit personal identification number, rather than just signing your name or swiping the card through a reader, to endorse a transaction. Because of this chip-and-PIN technology—first used in France more than 20 years ago, and widely used for more than a decade in other countries on the continent—fraud is substantially lower in Europe than it is in the United States, where it cost $5.3 billion in 2013. Specifically, European shoppers are protected from the two most common kinds of fraud, which occur when someone uses your card and forges your signature or when someone in a store or restaurant swipes your card for an additional purchase. In Europe, your card isn’t taken away and swiped. Rather, when you pay for something, you slide your card into a reader and enter a PIN. If you’re at a restaurant, the waiter will bring you a portable card reader. The last time I moved house, the movers had a card reader in their truck that I used to pay. Point being, you never hand over your card to someone else. Apple Pay is similar to a chip-and-PIN system, only in this case the chip is in your iPhone and the PIN is Touch ID. The cost of refitting the entire purchase chain in the United States to use compatible chip-and-PIN technology (the cards cost more to make, and card readers are more expensive) has delayed its adoption here; only 2.4% of U.S. stores have the right hardware now. But plans have been made to expand that network in the near future, and the retailers who have signed up for Apple Pay in the U.S. are big names. On its website, Apple touts that fact that Apple Pay will save you time, by not forcing you to search for your wallet and then find the right card. These concerns, too, are specific to the United States. On average, Europeans carry only 1.46 payment cards (more than two thirds of which are debit cards). In the US, people have more than twice as many cards; 14% of Americans had more than ten cards in 2007. Credit cards are much less common in Europe (though adoption rates vary by country), and most people only have payment cards with their banks. The security elements of Apple Pay are impressive. As Rich Mogull has explained, the technology behind the Apple Pay process is complex and reliable, and seems a lot more secure than, say, iCloud. It’s clear that, in the future, this sort of system will interest banks in Europe and other countries. But it will also meet with a lot of competition, as several companies have already planned similar systems. And, with a truly secure payment system already in place, financial institutions are less likely to be in a hurry to start giving Apple money as a payment middleman. Apple’s online payment features interest me far more. While many merchants already use two-factor authentication systems—Verified by Visa and MasterCard SecureCode—Apple’s version seems more robust and much easier to use. Adding the Apple Watch to the mix will certainly make contactless payments more useful for quick purchases: a cup of coffee, a newspaper, a pint of milk. But even then, you only gain a bit of time; it really doesn’t bother me to have to reach into my wallet and take out my debit card to make a purchase. It won’t eliminate the need to carry cards with you: if you want to make a purchase, and your iPhone has lost its charge, or if the store’s contactless reader isn’t working, you’ll have to pull out the plastic. And not everyone will accept Apple’s system, at least not for a while. So, it’s clear that, in the United States, where people have many cards, and where security is behind the times, Apple Pay will make a big difference. But over here in Europe, it just won’t be that big a deal.